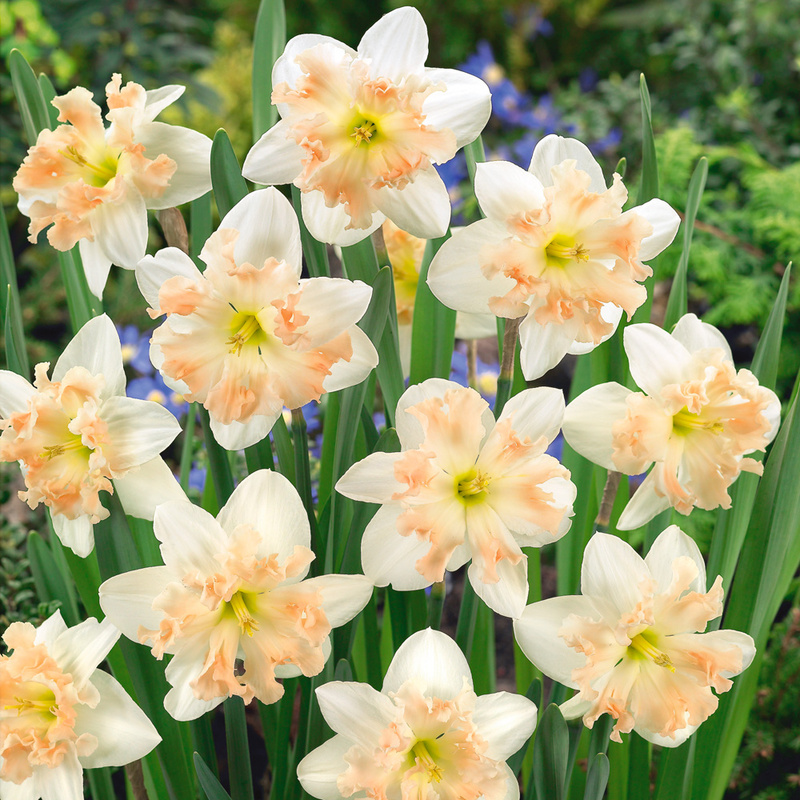 A modern introduction to the Orchid Daffodil/Narcissi range, Palmares is a warm and delightful variety that produces lightly frilled apricot-pink cups and white petals. A particularly excellent choice for cut flower displays, thye really will bring a smile to your face in spring. 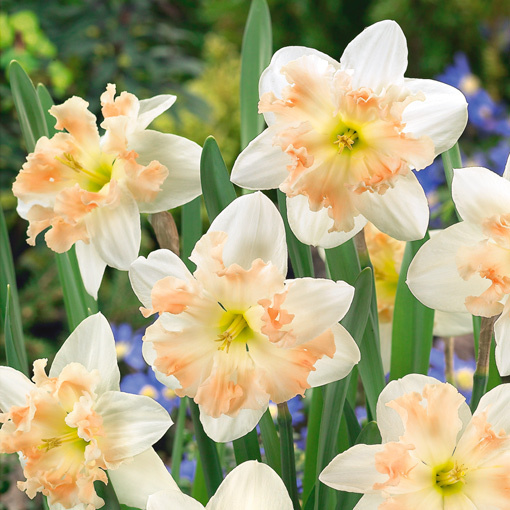 Flowering from March/April, they will grow to 40-50cm, making them a border favourite. Supplied as top quality 10/12cm bulbs. Normally priced at £5.99 for a pack of 10, now exclusively available for only £1.99 - Saving £4.00 off RRP.